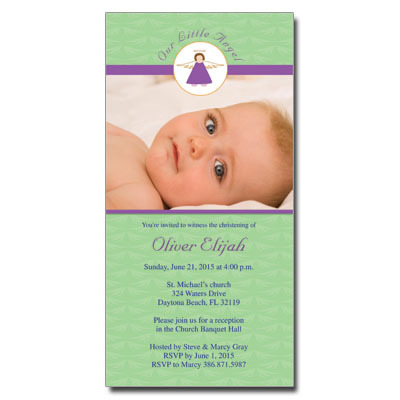 Light kelly green and vivid purple compliment navy type in this Christening invitation. A drawing of an angel hovers above a photo of your little one, with event information printed beneath. Card measures 3.5x7.